The Fort Collins Local History Archive contains thousands of files on a wide variety of local topics, events, places, and people. These files have been assembled over decades and are continually expanded by Archive staff and volunteers. 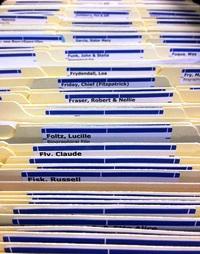 A limited number of subject and biographical files have been scanned and are available for viewing online, but the majority of these files are only available for research by visiting the archive.